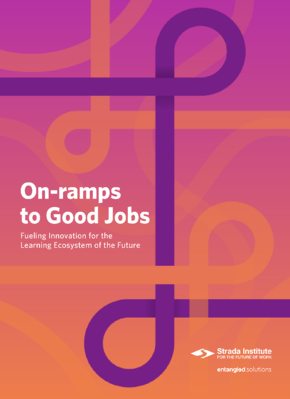 On-ramps to Good Jobs highlights a nascent market of innovative programs with the potential to launch 44 million working-class adults in America into good and better jobs. Our current education and training system is already lagging and failing too many unemployed and underemployed Americans. We need better solutions for our most vulnerable citizens. 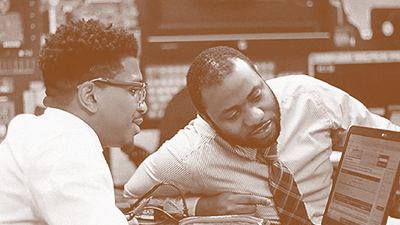 Building a learning ecosystem that connects 44 million working-class Americans to good jobs and careers is the fundamental challenge our country faces as we prepare for the future of work. Strada Institute for the Future of Work is dedicated to advancing our understanding of the future of learning and work, so that we may begin to build the learning ecosystem of the future. How might we design a learning ecosystem that connects 44 million working-class Americans to good jobs and careers? This is the fundamental challenge our country faces as we prepare for the future of work. 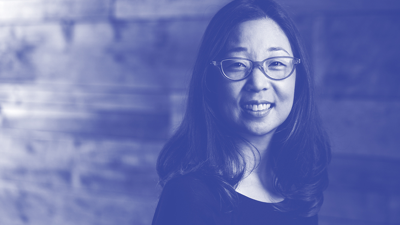 Michelle Weise, SVP of workforce strategies at Strada Education Network, writes about the 44 million Americans at risk of being left behind by the future of work.